Born in central California on Oct. 31, 1950.
graduated from Rhode Island School of Design in 1972. 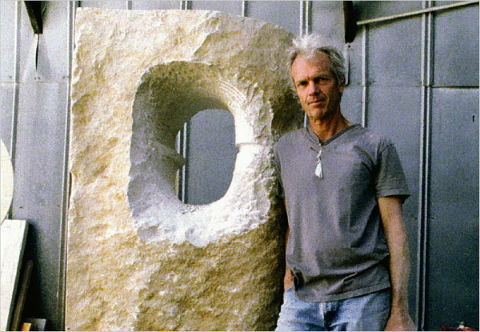 Lived and studied sculpture in Carrara, Italy. sculpting at his studio in the Funk Zone for 29 years. Passed at home June 27, 2015 from brain cancer. his brother and sister in law, Mike and Kuulei Wilton, and their family. he left with extraordinary grace.